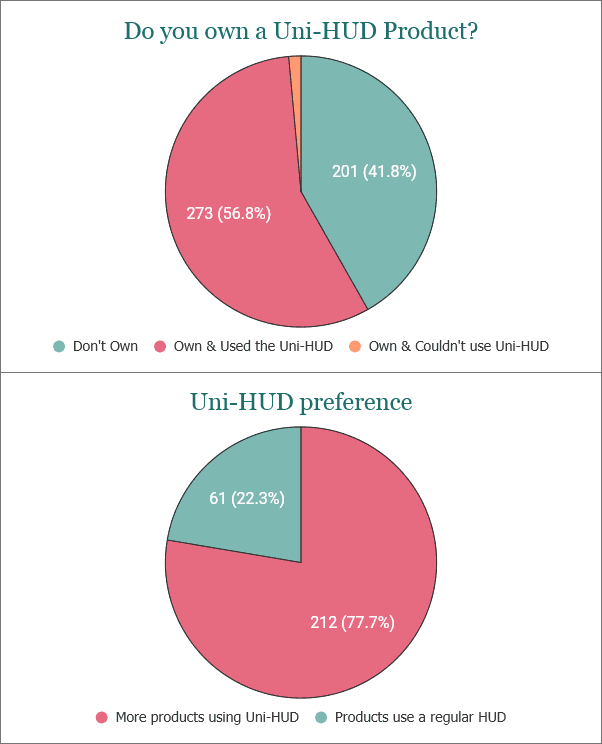 Although the Uni-HUD had only been in action for 3 months, already almost 57% of people had purchased a Uni-HUD product and tried it out first hand. Out of the people that had bought a Uni-HUD compatible product and tried it out, almost 78% of people liked the system and said they would like to see more products using it. With the Uni-HUD still being in it’s early stages, I was concerned that it was too different to what people were used to when it came to how a HUD should work. My biggest worry was that new customers, for whom this was their first moss&mink product, would find this extra step to be unreasonably tedious for little benefit. I am thrilled, because for these particular products, 63% of buyers were new to moss&mink. The response to the HUD far surpassed my expectations, with almost 78% of people saying they were excited to see more products be converted over to the Uni-HUD system. Over 480 moss&mink customers participated in the survey and voted on the new colors and patterns that would be the future of the Uni-HUD system. Thank you all so much for your input!! I am so pleased to present the future color and pattern selection that will soon be available in store. What about my old colors & patterns?! You can't take them!! I promise, all your purchased products will keep the colors and patterns that it was already released with. When a product you own is updated to be Uni-HUD compatible, you will receive a notecard in world letting you know. You can then choose to visit the moss&mink store & pickup the updated package for your product. Inside the updated package will be the new Uni-HUD compatible product, and a boxed copy of the product as it originally was released. When do I get these fancy new colors and patterns? I’m excited too! So many things, ALL the updates!!! I will be working my way through starting this month, baking new color and pattern textures. First on my list will be the existing 10 Uni-HUD products, which I will release as one cluster update to avoid confusion in the store. Next on my list, I will work through in order based on how many customers own each product, so more people can benefit from having the updated colors and patterns sooner. All up there are 100+ moss&mink products, each needing between 20-80 (in some cases more) new textures baked, which can take 1-3 days per product, so I’m not shy in admitting it will take a little time. Alongside creating for the usual events I am in, I will work through the list though till we get there!! How much will the new HUD cost me? The upgrade to the Uni-HUD version on all products will be a free update. 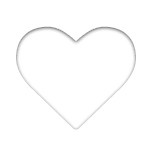 You all invested in your love of moss&mink, I want to throw some of that love right back your way! !